The Minneapolis College of Art and Design offers outstanding week-long summer camps for kids ages five and above and multi-week studio classes for teens. These unique learning experiences are tailored to encourage the dynamic creativity of children and teens alike. 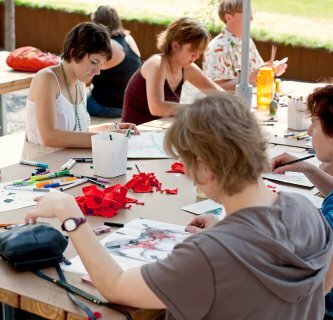 Innovative, professional art educators encourage a fun and experimental studio environment. This three-week residential summer art program provides high school sophomores through seniors with the chance to experience the life of an art and design student, live on the MCAD campus, build a portfolio, learn from professional artists and designers, and earn three college credits. Where can I take free yoga or pilates classes in Minneapolis, MN?